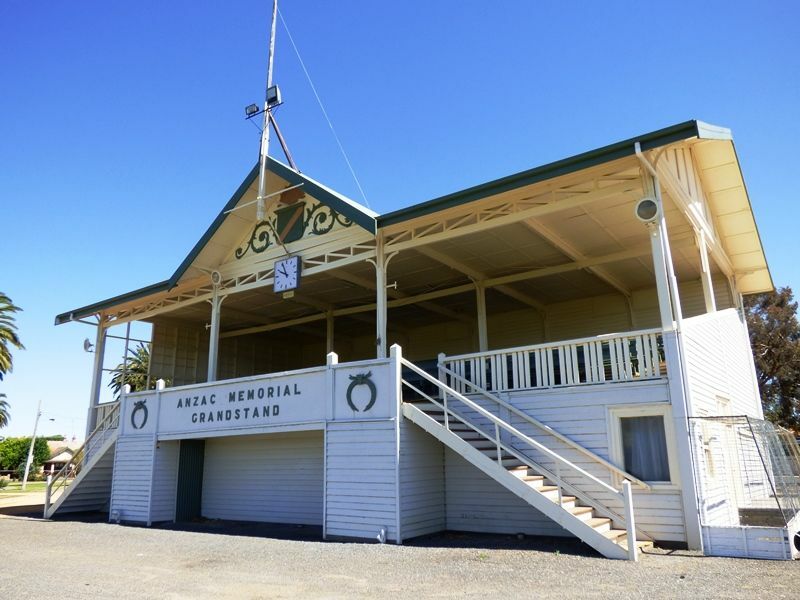 The grandstand was erected in honour of the men of the district who served in World War One. 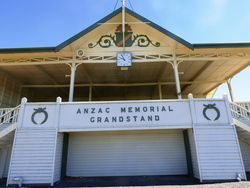 Anzac Memorial Park, with its grandstand and ornamental gates in honor of the soldiers from the district, were officially opened on Saturday. The celebration was a memorable one. On the piers carrying the gates are engraved the names of the fallen men. The Horsham Times (VIC), 27 April 1923.